Few things in life are as soothing and relaxing as train travel. 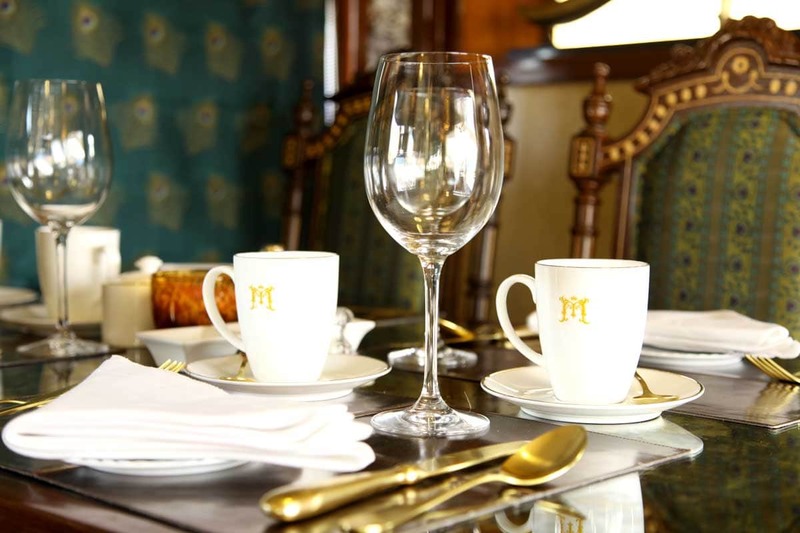 And if that is done onboard a luxury train like the Maharajas Express, with plush seats, double beds, wall to wall windows and fine dining food the expression “palace on wheels” has a whole new meaning. Looking to finally visit India’s most heritage-rich area while feeding my love for train travel I summoned my best friend and travel companion Edwin to join me on a 10 day exclusive trip from Mumbai to Delhi onboard The Maharajas Express. 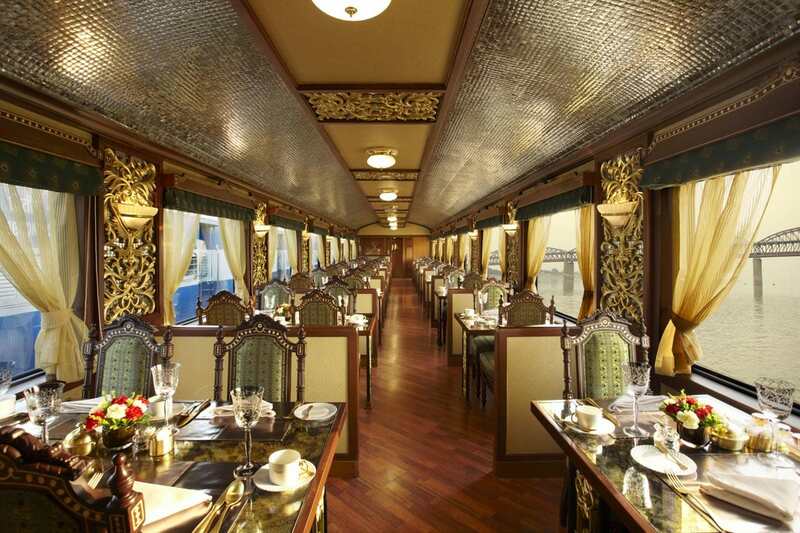 Completely built from scratch to become the epitome of luxury travel the Maharajas Express has all the worldly comforts of a luxury hotel with the added benefit of only unpacking once. The itinerary covers most of the beautiful landmarks in India’s best known cities of Rajasthan including the Pink City of Jaipur, the Taj Mahal, Jodpur and Udaipur plus a few side visits to lesser known destinations of equal importance and beauty like Ajanta Caves or the Thar Desert. The entire trip is wrapped around with one of a kind, once in a lifetime experience moments that are not available to the independent, or even the luxury traveler. We played elephant polo in a private royal palace. We interacted with Indian royalty. We had dinner in the desert complete with private dancers and barbecue under the stars. We toured areas of some UNESCO sites that are not open to the public and we were greeted, at every station, with a red velvet carpet and flower garlands. Throughout the journey it was like being a real Raj or King and we were short of feeling like colonialists revered by submissive subjects. Well, maybe that was just in my dreams as I went to bed in my mobile and comfortable bed with fully functioning heater, proper shower and full fledge bathroom. I can’t say that it did not feel a tad contrived and theatrical to be welcomed at every stop as if we were royalty. Towards the end, I found myself longing for a simple jump off the train without all of the fanfare. There were horses and camels meeting us at the train exit. There were dancers, singers, musicians and a whole show put up just for us every time we arrived at a new destination. It was a bit like being paraded around like royalty and, perhaps it was my cynicism and down-to-earth simple self that would have liked to see this in real life rather than specially put up just for us. I felt borderline embarrassed that all that was just put up for us. 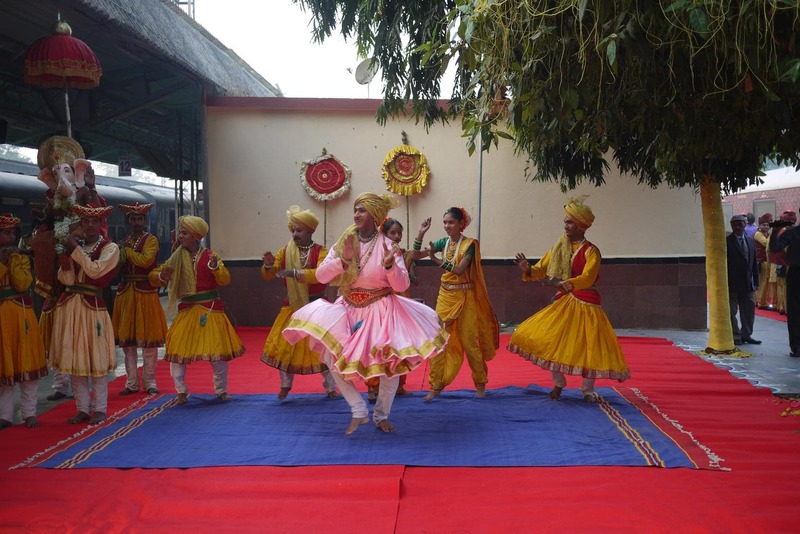 But you couldn’t deny the effort that went into preparing every performance as representative of the area in which we had stopped and the enthusiasm and smiles of the performers. Some performances looked like they were taken from a Kamasutra book – complicated colorful dresses and vigorous movements. A beautiful maroon / burgundy from the outside and regal inside this is a train that is sure to make you feel like you belong to the now lost Raj. Inside, gold is used generously, as is shinny polished furniture pieces. The staff is fully dressed like servants used to at the time. Red carpets with flower petals lead you to the train. At all times, someone will be taking care of you in some way. Either the bed will be re-made if you have been laying on it, or a flower will be added or a chocolate will provide some sweet treat. 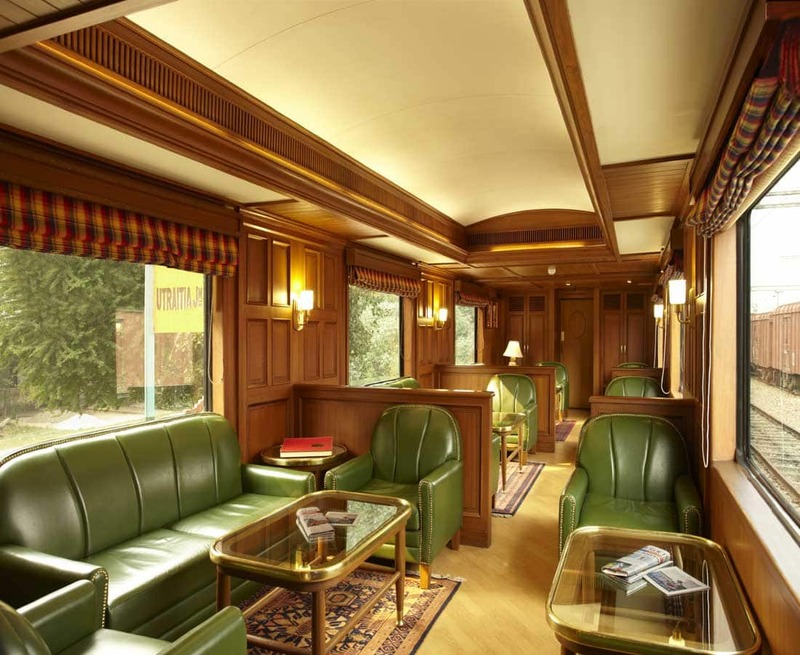 Having traveled on a few of these luxury trains including the Rovos Rail in South Africa or the Golden Eagle across Siberia I must say this is the most luxurious. Its the unapologetic pompous demeanor and the excessive worldly comforts that make you feel like you are truly in a palace on wheels. 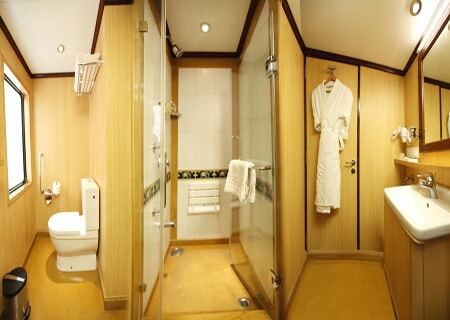 The carriages and cabins are perfectly appointed with all the luxuries of a real hotel. Spacious cabins means that the train is almost a kilometer long – prepare to walk as the comings and goings happen always from the main lounge bar where everybody gather before disembarking for the day’s excursion. There are two restaurants and two bars including a lounge which will serve you drinks and cocktails until you have had enough. The staff won’t leave until the last guest is gone. In our trip, that was never too late; after a long day sightseeing we were pretty happy to go to bed early, the days always started relatively early too. The cabins feel just like a hotel room, if only slightly smaller. You wouldn’t want to spend too much time in there but you certainly could relax for hours staring through the window and just laying on the bed. Windows cover the entire outside walls and provide a permanent entertainment program, although the train does not always move. The journey is made at a very slow pace. There is enough space for you to unpack and hang your clothes, although don’t bring too many. Space is well utilized and thought out, just like in any compact space. There is a closet with hangers and the suitcase can be stored under the bed. Our journey started in Mumbai, where it is always hot, and progressed towards the north of the country where temperatures reached freezing level in Ranthambore and Delhi so we had to carry clothes for all seasons. And we were coming from our extended Christmas break, so we were indeed loaded on belongings. Out personal butler unpacked and repacked our bags which was convenient. One of the most appealing parts of train travel is the fact that you only need to unpack once and let the train take you places. If we had had to do the same trip by car we would be constantly checking in and out of hotels. Although that has its own charm, and Rajasthan does know how to create magical, romantic and unique accommodations in palaces and forts, I liked the fact that, after a long day sightseeing, we could relax onboard and let the train take us to your next stop with all the comforts of a hotel. Isn’t that great? Another element that made the cabins a great place to retire to were the bathrooms. 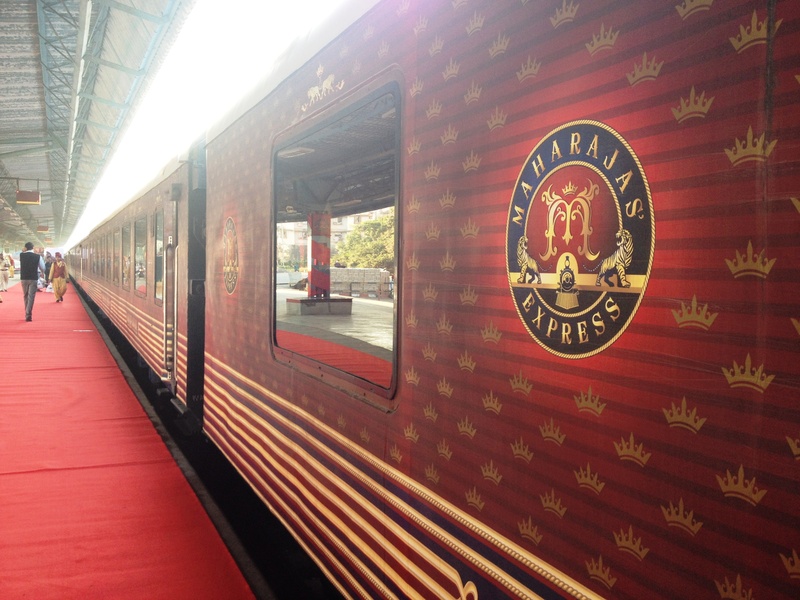 Contrary to other trains where space has ben maximized, the Maharajas Express has fully functioning and fully equipped bathrooms with a regular shower, hot water, mirrors and amenities. No more showers banging your elbows against the wall and no humidity creeping into your bedroom, this is a proper ensuite room. There are two restaurants onboard, Rang Mahal and Mayur Mahal. During meals, one usually serves international fare and the other Indian local dishes, albeit adapted to the international palate. Read: spiced down significantly. They are both appropriately intricately decorated with the usual extra serving of gold, frescos, paintings, thick curtains, reds and yellows. The food was excellent. The menu every day included a set of dishes to chose from and the variety was never an issue. Should you want something else, the chef was always willing to accommodate. On a couple of days my stomach was unwell, which I cannot correlate with my time on the train, I am pretty sure it was the aftermath of the Christmas debaucherie, and the chef was sure to check with me at all times to prepare what I felt like eating. Dietary requirements are also met. Meals were tasty, delicious and a good insight into the local culture to complement the rest of the trip. The local dishes covered Rajasthani cuisine, made of curries and typical meals with various smaller plates of a variety of different stews, vegetables, curries, pickles and soups always served with rice. The fact that they had adapted the level of spice also made it possible for the non-Indian palate to enjoy the food without the usual richness and spice overload that Indian food can cause. I could have easily eaten that food for the entire trip and, should you want a little break, the international menu was an excellent alternative. The presentation, the china and the heavy silver cutlery was but expected of such regal trip. 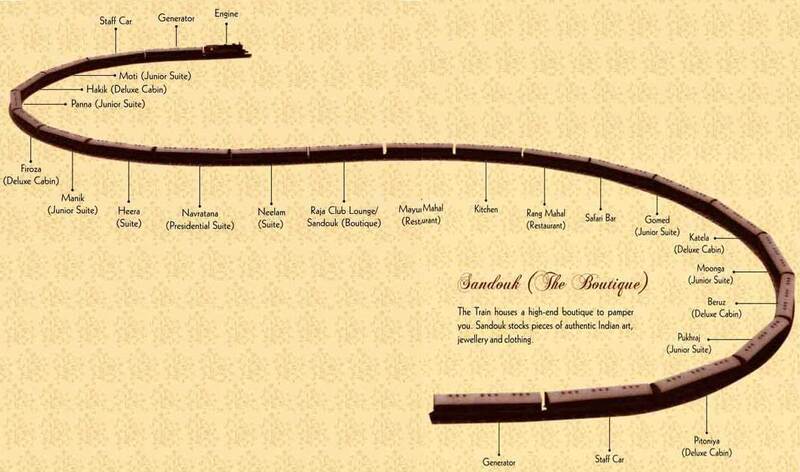 It all contributed to the feeling of excellence, exclusivity, luxury and royalty. Back home I sit on an Ikea table without tableware or, more often than not, in front of the TV, on my sofa. Above all, I have to praise the chef for being able to cook such delicacies and excellent food on a tiny kitchen moving at high speeds and shaking through rural India. Incredible achievement. I could barely avoid rocking myself from wall to wall when the train was moving on the centenarian tracks. Impeccable and personal are the best two words to describe this. Our butler was always there yet he was invisible. He anticipated our needs in ways even we didn’t know. He brought us tea when we didn’t know we felt like it and brought us things we forgot in our cabin before we realized we had left them behind. It is the type of service that is so hard to describe and to learn, the proof of an era gone by. Not that we would want colonialism to be back. What I found made the Maharajas Express different from the rest of the luxury train journeys is the fact that their opulent service levels were non-apologetic: they wanted us to feel like royalty and there was no effort in trying to make us feel at home, instead, we were made to feel like in a palace. 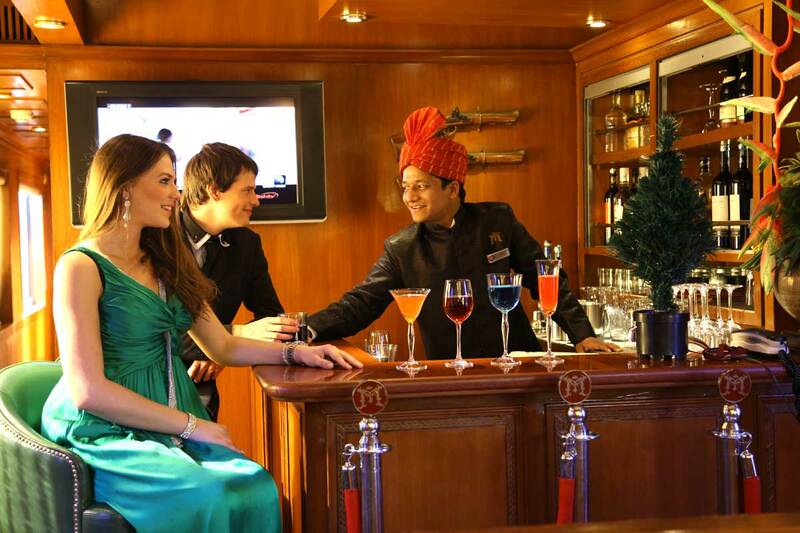 Read these top 5 luxury experiences you will have on the Maharajas Express. Although this is a train trip don’t expect too much moving or too much distance covered. You will be able to look through the window as the world moves by occasionally but most of the movement happens at night. So bring a pair of earplugs because Indian railways are noisy and there is a lot of rattling. Here are some more things to know before you go. There is a lot of walking involved if your cabin is one of the far ends. Or you may also summon your butler to get you things you may have forgotten in your room.